Check out Let's Relax Spa for more choices! 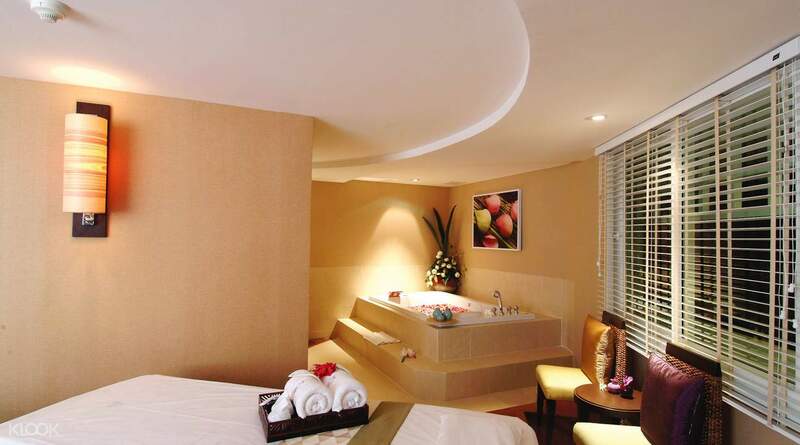 Reward yourself with a day of indulgent pampering at Thailand's famous Let’s Relax Spa. 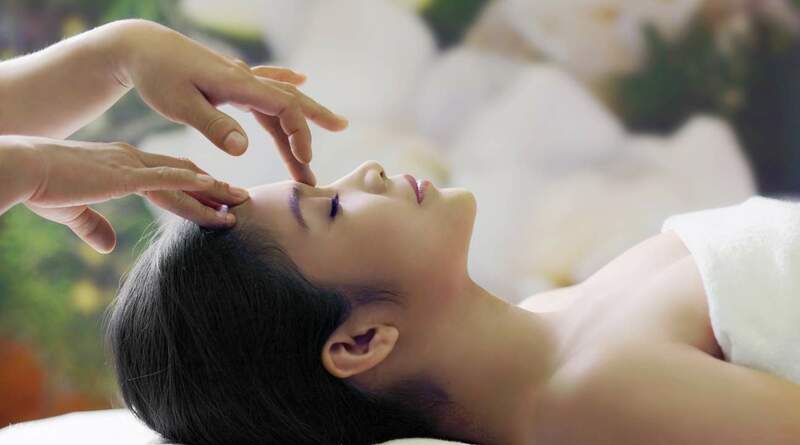 Offering a combination of treatments in the form of luxurious packages like Body & Soul, Full Spirit, Blooming Life and more, Let's Relax is well-known for its expertise and professional service – the spa has even been awarded several titles including Thailand's Most Popular Day Spa. Choose a treatment that best fits your mood and receive an excellent quality service in a clean and elegant surrounding. With nine locations in Bangkok alone, Let's Relax Spa is the most convenient way to de-stress during your Thai adventure. Choose from a variety of spa packages - Body & Soul, Full Spirit, Blooming Life and more! I love going to this place. Easy to use the Klook voucher. I went to the Terminal 21 mall location at Asok station. The mall connects right to the station, so very easy to find. Go to 6th. It’s right next to the theater. You will be greeted with a cold Thai drink & cold refreshing towel. Then on to the foot wash. Next you will be taken to a quiet room with a floor mattress & change of clothes. The 2 hour massage was very relaxing. Then you will go into another room for a 45 min foot massage in a reclining chair. In the end, you will be sent away with a mango sticky rice Thai dessert & hot tea. Lovely & worth the price. Thanks Klook! I love going to this place. Easy to use the Klook voucher. I went to the Terminal 21 mall location at Asok station. The mall connects right to the station, so very easy to find. Go to 6th. It’s right next to the theater. You will be greeted with a cold Thai drink & cold refreshing towel. Then on to the foot wash. Next you will be taken to a quiet room with a floor mattress & change of clothes. The 2 hour massage was very relaxing. Then you will go into another room for a 45 min foot massage in a reclining chair. In the end, you will be sent away with a mango sticky rice Thai dessert & hot tea. Lovely & worth the price. Thanks Klook! I went to the Let’s Relax inside the Terminal 21 mall. It’s on the top floor. Make sure you book ahead because sometimes there are tourist groups that come in & there is not any openings. I enjoyed the dream package which includes a cold Thai drink in the beginning, a foot bath, a foot massage, a hand massage, & a shoulder, neck, & back massage. After all that, I was given a mango sticky rice dessert with warm tea. Very enjoyable! I went to the Let’s Relax inside the Terminal 21 mall. It’s on the top floor. Make sure you book ahead because sometimes there are tourist groups that come in & there is not any openings. I enjoyed the dream package which includes a cold Thai drink in the beginning, a foot bath, a foot massage, a hand massage, & a shoulder, neck, & back massage. After all that, I was given a mango sticky rice dessert with warm tea. Very enjoyable! We booked a spa package for my family via Klook app. Our family throughly enjoyed the experience of having famous Thai massage in this outlet recommended by Klook app. We found their outlet in a very convenient location in popular MBK mall in Bangkok. Overall, it was a nice and smooth experience. All thanks to Klook app. It is indeed a must-have app while traveling in Thailand and other parts of Asia. We booked a spa package for my family via Klook app. Our family throughly enjoyed the experience of having famous Thai massage in this outlet recommended by Klook app. We found their outlet in a very convenient location in popular MBK mall in Bangkok. Overall, it was a nice and smooth experience. All thanks to Klook app. It is indeed a must-have app while traveling in Thailand and other parts of Asia. Believe the fine print when Klook says you'd need to book an appointment, which was what I fortunately did. The spa is pretty popular with tourists and locals alike so I was lucky when I got my preferred time. The interiors are tasty and with relaxing ambiance. You can buy other products inside while waiting for your massage. As for my massage, it was everything I had expected it to be. I went there the day before I left Bangkok so my body had already been tired from everything that I did. The masseuse hit all the right points and was skillful. I also lucked out that there was not that many customers when I was there so it all added to the relaxing environment that I had. They also served treats before and after the massage. Great experience overall. I will be back. Believe the fine print when Klook says you'd need to book an appointment, which was what I fortunately did. The spa is pretty popular with tourists and locals alike so I was lucky when I got my preferred time. The interiors are tasty and with relaxing ambiance. You can buy other products inside while waiting for your massage. As for my massage, it was everything I had expected it to be. I went there the day before I left Bangkok so my body had already been tired from everything that I did. The masseuse hit all the right points and was skillful. I also lucked out that there was not that many customers when I was there so it all added to the relaxing environment that I had. They also served treats before and after the massage. Great experience overall. I will be back. This is a great experience! We have been to Bangkok multiple times, but this was our first time joining local tours. Our guide Banana M is very friendly and helpful. This trip truly let you be part of the interesting Thailand. I will recommend this tour to travelers that would like to experience a rich and compact lifestyle in Thailand. The value justify this whole day tour. Transportation is well managed. Bus provided was clean and tidy. This is a great experience! We have been to Bangkok multiple times, but this was our first time joining local tours. Our guide Banana M is very friendly and helpful. This trip truly let you be part of the interesting Thailand. I will recommend this tour to travelers that would like to experience a rich and compact lifestyle in Thailand. The value justify this whole day tour. Transportation is well managed. Bus provided was clean and tidy. Heavenly experience 😊 Welcomed by friendly reception and nice drink with cutely folded towel. Very techy as registration and feedback via tablet. Cosy ambience. Body massage masseur was good, real relief to the muscles ache after shopping. Recliner chair for reflexology. End with a satisfied mango sticky rice. Heavenly experience 😊 Welcomed by friendly reception and nice drink with cutely folded towel. Very techy as registration and feedback via tablet. Cosy ambience. Body massage masseur was good, real relief to the muscles ache after shopping. Recliner chair for reflexology. End with a satisfied mango sticky rice. It's been a great experience, I've been to the Street branch. You can make the reservation first then purchase the voucher online. We did the Dream Package which was enough for us and it totally worth the price ! Highly recommended for this product. It's been a great experience, I've been to the Street branch. You can make the reservation first then purchase the voucher online. We did the Dream Package which was enough for us and it totally worth the price ! Highly recommended for this product. Best massage ever!!! I was happy to experience the traditional dry massage in BKK! Redeem your voucher in Mandarin Hotel branch, the assistant manager, Leah (who's also a Filipino) is very nice and accomodating. Best massage ever!!! I was happy to experience the traditional dry massage in BKK! Redeem your voucher in Mandarin Hotel branch, the assistant manager, Leah (who's also a Filipino) is very nice and accomodating. so comfortable with the environment & friendly staff! package is cheaper if you purchase from klook (although not so many different), but it's exactly the same as you purchase on the spot. so comfortable with the environment & friendly staff! package is cheaper if you purchase from klook (although not so many different), but it's exactly the same as you purchase on the spot.